This encore program originally aired in June, 2018. Looking at the past through rose-colored glasses is nothing new – we’ve been doing it in various forms for centuries. But when it comes to family life, that yearning for a simpler, happier time can be particularly potent. Mid-century television shows such as “Leave it To Beaver” and “Ozzie and Harriett,” celebrated the nuclear family, where Dad was the breadwinner, Mom managed the house and kids, and everything seemed to run smoothly. But was life really so great back then, or was this simply an illusion? 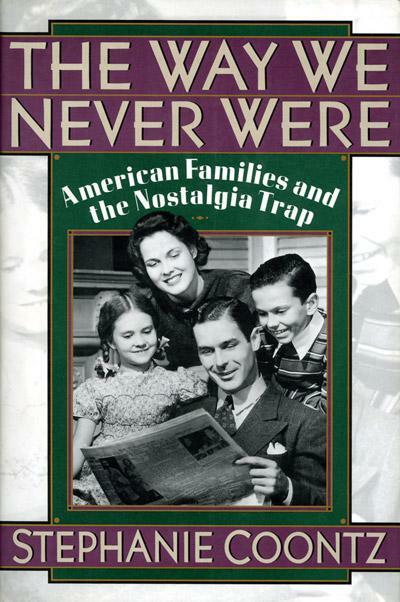 In the new edition of her acclaimed 1992 book, The Way We Never Were: American Families and the Nostalgia Trap, historian Stephanie Coontz exposes the myths that define our ideas of “traditional” American family life, both past and present. Without minimizing the serious new problems facing modern American families, she shows us that nostalgia for a largely mythical age of “traditional values” is a trap that can only cripple our capacity to solve today’s problems. Professor Coontz teaches history and family studies at Evergreen State College in Olympia, Washington, and is the Director of Research and Public Education for the Council on Contemporary Families. She visited Boise State University in March to present a lecture sponsored by our School of Public Service, and she joined us by Skype for the interview.